I am not opposed to exploring the idea of opening the watershed. It is imperative to recognize that once opened, it would not be easy for the City to restrict certain activities (motorcycles, hunting, and fishing). If the water quality degrades even slightly from its current level, then the existing water treatment plant would not be able to meet current state and EPA drinking water standards. An upgrade to the plant would cost in the tens of millions, and that cost would be a direct burden on all water ratepayers in town. I would love to see it opened with attention toward appropriate uses that protect water quality. If we are the only public lands watershed that is closed to public access, then the experience of other places that have opened their watersheds will be instructive in properly doing so. Until there is more public consciousness of preserving quality open spaces without trashing or loitering, I am not in full support of opening the Santa Fe Watershed and prefer to keep it closed to the public at this time. There are many, many trailheads in that area for use and enjoyment of nature by Santa Feans. It needs to stay closed to keep it clean and protected. The My Water, My Watershed program is the best way to educate the youth and their families so that maybe in the future that could change. I would support studying the issue, but I think it would be best to prevent unregulated use. This means keep it officially closed but allow for and encourage plenty of education-based, professionally guided tours. The terrain is too steep, the soils are too brittle, and the risks are too great to allow for the kind of unfettered usages associated with a national park or forest. People who go into the watershed should be required to remain quiet, stay on trails, take nothing with them on their way out, and leave no trace of their experience. I think we should keep the watershed closed to public access and we should close public access to the Rio Grande around the Buckman Diversion Project. Although we cannot limit access to the entire Rio Grande, the area around the diversion project is notoriously polluted by human activity. Hording water only destroys the ecosystem that supports the creation of more water. Water retained at the McClure and Nichols Reservoir on the Santa Fe River should not be retained for urban expansion. Water should be given back to the earth, so it can replenish the life of the riverway. Public access should be allowed and clearing of areas should be done through mechanical thinning rather than prescribed burns. Cut trees can be used for firewood. Let’s let the water flow, do the needed restoration work, such as reestablishing the historic waterways and removing invasive species to improve habitat. Rather than letting population pressures force water hording, let’s save the ecological network of the river system, release the 1000 AF as a minimum not maximum with the goal of keeping a year-around healthy river flow. This will release held back sediments that will naturally replenish the downstream ecosystems, riparian vegetation, replenish the aquifers needed for plant roots and wells, and lessen greenhouse emissions caused by the reservoirs. 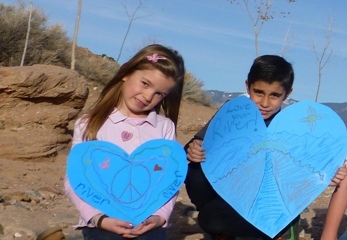 Santa Fe says it is important to protect nature. Let’s prove that we are true environmentalist by saving our river’s ecosystem, allowing the upper watershed to be enjoyed by the public while protecting Old Santa Fe’s assets.